I smile as I look at this Cherry Pie. We made this pie for Father’s Day…we were so ready to get it in the oven that our rows of crust did not turn out quite like we had planned. But it was still a sweet and delicious treat and was worth every calorie. Thank you Sally’s Baking Addition for this recipe! I love all your pies and cookies!!! They always turn out so tasty! Just a “sweet” extra for you, I am learning the more we do for ourselves, the more we can offer our family. I am going through an amazing book and study with friends called Emotionally Spiritually Healthy. Here is what the book looks like and the day to day reading. If you are looking for something to know yourself better and grow, give this book a try. I think you will really enjoy it and learn a little along the way! ..But the Best People Are! Great Send off, Great Food, Great Book and Great Quotes. And of course you must have a backdrop! Thankful for friendships, creativity, food, fun, good books and great relationships! This is day 2 of the quote challenge. I am posting a quote from Alice in Wonderland that I like. It may mean something different to me than was intended in the book, but it is still thought provoking…and cute! I also love little tea-cups! This quote from Alice in Wonderland is so simple. It made me think of special friends that will grab a cup of tea (okay, more like a glass of iced-tea, I am from Texas after all) with me after work just to catch up…thanks Carol! It makes me appreciate sisters who meet up to have a sister shopping day at Magnolia Market in Waco…thanks Fixer Upper! I did warn you my interpretation of this quote was not the same as it was in Wonderland, but it puts a smile on my face when I say it! (and the Mad Hatter Tea Party would annoy me)! It’s Always Tea-Time means It’s always time for friends and family and catching up! I am nominating four of my favorite bloggers to participate in this 3-day challenge and to pass on to three others! Just post a favorite quote for 3 consecutive days and nominate three others to do the same! I was recently challenged by Simply Homemade by Paula to the 3-Day Quote Challenge. Thank you Paula! I love her blog! Go check it out. My first “quote” is actually a verse found in Psalm 34:8. I have used this verse many times when taking baked treats to someone special. I also use this as a creative way to share a verse from the Bible to someone who may need to be encouraged that day. I hope it encourages you. I even had this verse painted on a wall in my kitchen to remind me of God’s goodness in my life. I think it is a great verse as well as a challenge. A challenge to give God a try and see that He is good! If you accept this 3-day challenge, post 1-3 quotes for 3 consecutive days, nominating 3 fellow bloggers to do the same. 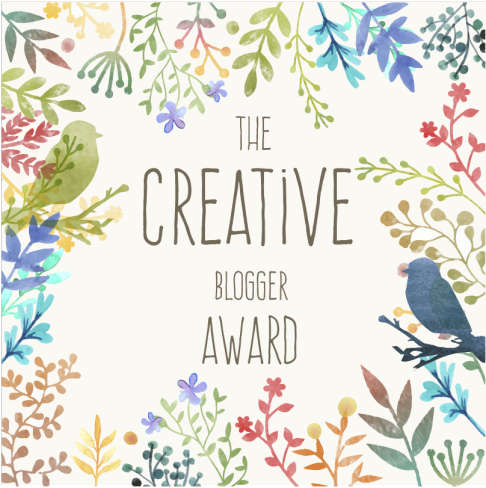 I am nominating the following bloggers today to this challenge. Today my girls did many things to make my day special. One of the sweetest things was to give me a book I read to them as a child. Each of my girls picked out the book that reminded them of me when they were young. They wrote a note inside and told me why this book was special to them and the memories they have of me reading it to them when they were young. That touched my heart! They also made me lunch so I could put it on my blog! They were so thoughtful! They made a delicious healthy lunch. Thankful today for my wonderful daughters and so blessed that God allowed me to walk through this life with them! I love Robin Eggs! I always purchase a bag around Easter time and they are usually gone in a day. I had this bag hidden very well until I was ready to bake! I used Sally’s recipe from her cookbook Sally’s Candy Addiction: Tasty Truffles, Fudges & Treats for Your Sweet-Tooth Fix . I simply exchanged the regular size WHOPPERS for the MINI ROBIN EGGS. These still have the same wonderful flavor…with a touch of pastel…perfect for Spring. Here is a quick link to the cookbook from Sally!